“Why a duck?” asks Chico. It can be a tough call. A builder can determine, for example, that a yacht of X size and Y price will succeed in the marketplace. So they focus almost exclusively on designing and building a yacht that hits that price point, dead center. Everything else (aesthetics, performance, safety, functionality, durability, customer service, warrantee) is important to them, of course, but is not necessarily their principle objective (except safety, of course). So, the bottom line is that when someone builds to a price, you usually get what someone thought you’d be satisfied with. Or a builder can work day and night, to the exclusion of almost everything else, to draw and build a yacht of stunning beauty. But it it takes a lot of time, money, skill, and luck to build an aesthetically perfect yacht that also covers the “everything else” list, above. Too often the all-important items on that list can become … secondary? It can be hard to build an enduring business around secondary. 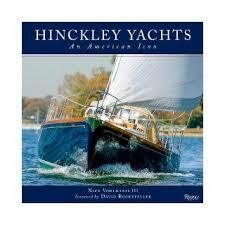 It is a thorough, engaging, and beautifully photographed history of the boats Hinckley has been building since 1928. I’ve got your copy here in my Southampton office, so stop by and grab it. This book really brought home to me that you cannot build fine yachts for eighty-eight successful years without doing everything just right. I thought I’d explore this “everything just right” theme in this blog for the rest of this summer. I’m going to start with my favorite “just right” and that is Quality. Because you can’t walk through the Hinckley yard (and I urge you to do so) without seeing that Hinckley decided first and foremost to build a yacht of the highest quality. Watching Trevor work, it became clear to me that quality is interwoven into Hinckley’s cultural DNA. They understand better than most builders I know that the end stage (an owner’s complete enjoyment) depends on the attention given to stages far, far earlier in the process. Wiring – Most builders build the hull, and then immediately attach the deck. At some point after that, in cramped conditions with limited headroom, a team of electricians (either employees, or commonly, subcontractors) come aboard to do the the wiring, fighting for every inch of space with carpenters, plumbers, engineers, and other assorted hanger’s on (um, that could include me). Now yachts have a shocking (pun intended) amount of electrical wiring. On a seventy-footer, for example, wiring can exceed two tons in weight! It’s so heavy, in fact, that designers have to figure out how to balance it to avoid listing to one side (typically most of it is put on one side, and, for balance, the generator(s) to the other). For that, you need special care. 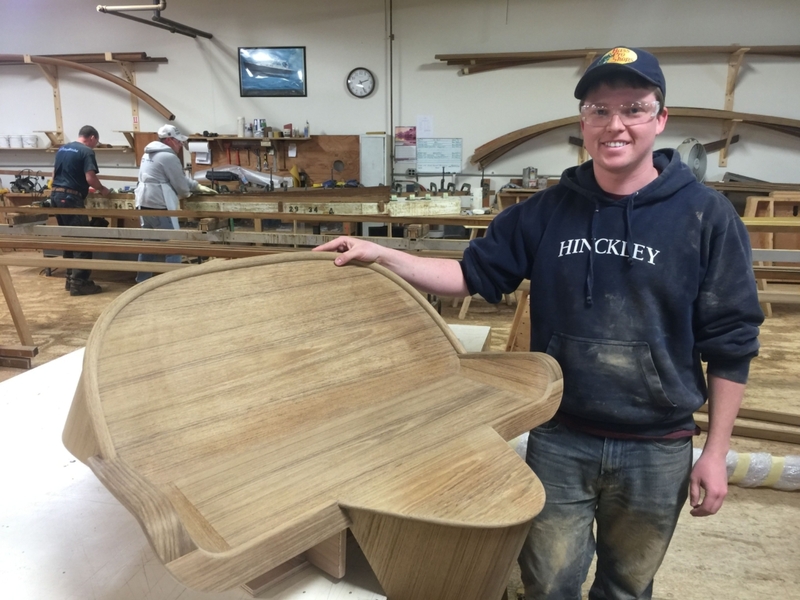 Hinckley wiring is done by their own full time wiring specialists, fifty yards and a floor above the yacht, in their Wiring Room. Hundreds of color-coded and hand-labeled wires are bundled into harnesses, connected to their circuit breaker boards, and tested in full right there in the shop. Then, and only then, the whole assembly is moved like a giant anaconda into the boat for install and re-testing. I verified it, loyal readers. It is true. And it’s the most shocking thing (no pun intended) I’ve heard in my 20+ years in this industry. Still with me? 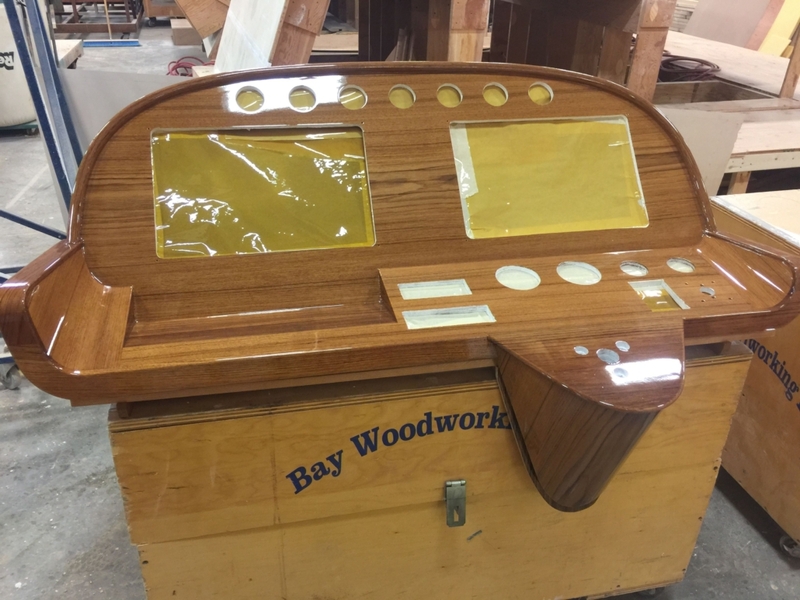 How about Preliminary Sea Trials – Every other builder I’ve ever come across finishes the yacht, including hull painting, bottom painting, and varnish, and then splashes it for preliminary sea trials to see how she runs. Whatever has to be fixed is done at the docks, where glass breaks, splinter’s fly, and scratches swarm. It is almost impossible to return the yacht to its perfect state. It’s such an obvious and routine process that it never occurred to me it could, and should, be done any other way. Hinckley finishes all mechanical work first, before the cosmetics. Then, before the boat is painted and varnished, she goes into the water for a couple of weeks of testing. 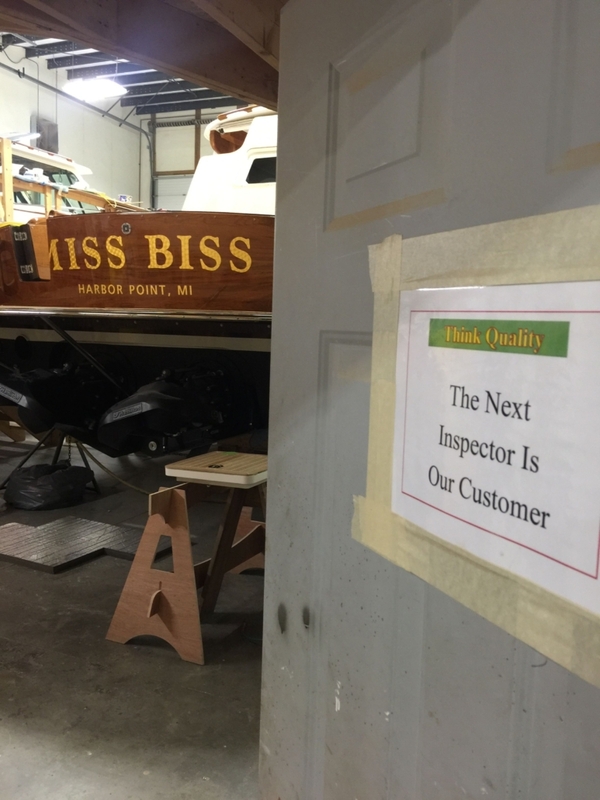 When everything checks out 100% she is re-hauled and moved to the Delivery Room for cosmetic completion (that’s where the sign – The Next Inspector is our Customer– hangs). It is a more expensive way to build a boat. But by identifying issues early, before crews have to worry about cosmetic concerns, the builders can work in a an unfettered way to get the yacht just right. So, I’ll end as I began: “Why a duck?” asked Chico. “Because the water is deep!” answers Groucho. Thanks for listening. The next post will be full of details about our Experience Hinckley event in Sag Harbor from June 23rd – 27th. There, with your own eyes, hands and butts, you can run a Hinckley 34R and understand exactly what I mean by Hinckley Quality. Thanks, as always, for listening. And, as always, if you have any questions, just launch a flare! http://www.thefogwarning.com/wp-content/uploads/2016/06/vougaris.jpg 225 225 Dave Mallach http://www.thefogwarning.com/wp-content/uploads/2017/12/logoyatsch.png Dave Mallach2016-06-13 21:55:182016-06-14 02:06:11Why a duck?